At the joint YAE/AE/ALLEA meeting in Budapest, it was great to see such a large input from many of our YAE fellows. One of the main contributions was from our Chair Marcel Swart, who was involved in a round-table session on SAPEA and joined by academies from the UK, Germany, Hungary, EURO-CASE, the Director-General Research and Innovation EU and the Presidents of ALLEA and Academia Europaea. Our Chair highlighted that the science policy discussed in SAPEA mainly affects young researchers in the future, and hence it is very important that young researchers should be involved in the SAPEA processes as they are through the YAE, with one of our Fellows leading one of the chapters for the “Food from the Oceans” topic and another Fellow being member of one of the Working Groups. 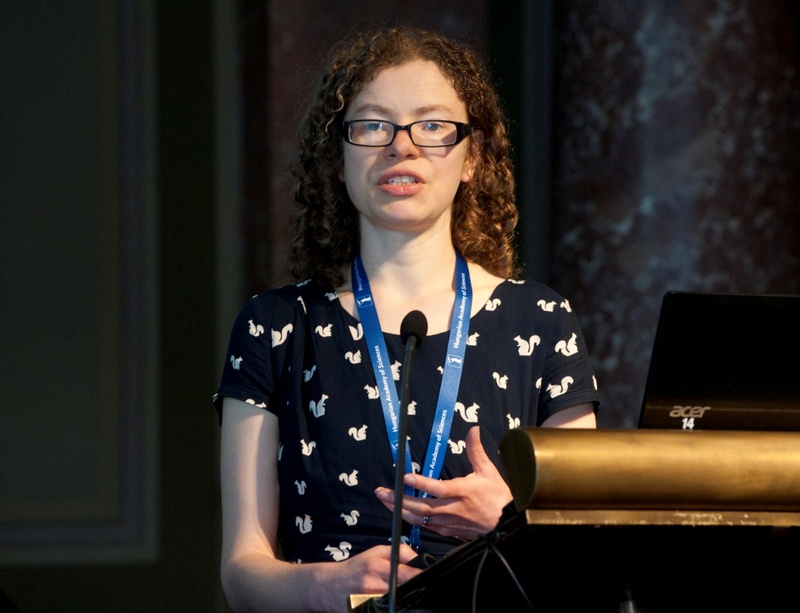 Another of our YAE members to talk about their research was Kate Hendry who spoke in the Climate, Environment, Water and Future Earth plenary session. Kate talked about the issues of high latitude and mountain glaciers melting at an ever increasing rate. “The removal of freshwater, locked up as ice on land, into the ocean is causing unprecedented rates of sea-level rise” Kate said. She also discussed the evidence that subglacial melt from the Greenland ice sheet releases a large quantity of key nutrients, such as phosphate and silicon, in addition to trace elements both in dissolved form and as reactive particles. As these nutrients escape into the ocean, they will have a major impact on the marine ecosystems, potentially changing algal populations that feed important fisheries. These changes will have clear impacts on local populations, reliant on natural marine resources. We can only mitigate against these impacts by curbing greenhouse gas emissions, which will take a global effort of multi-lateral agreements. We can also engage with local populations, and plan for changes and help with adaptation. However, we are only just beginning to understand the impact of ice sheet melt on nutrient cycling and oceanic ecosystems, and we don’t fully understand what the future holds for these marine resources. Kate ended her talk by reminding the audience that there is a clear need to put resources into modelling future outcomes, and include nutrient cycling and ecosystems into our future projections. Having such a strong contribution from our YAE fellows in meeting such as the YAE/AE/ALLEA, is crucial in shaping future research and research policy. We hope that many more of our YAE fellows have the opportunity to speak and take a leading role in the next joint meeting.